Love creating with vintage pretties. 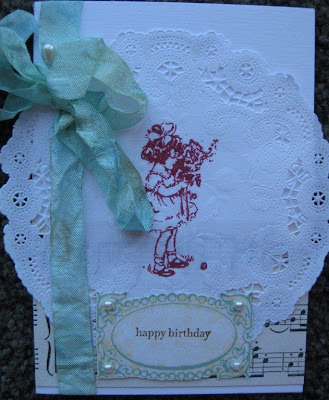 I think (having 2 wee felllas and being surrounded by noise, dirt, stones, sand, diggers, trucks and boy talk) that playing with pink ribbon and beautiful doilies gives me that girly sparkle I need. 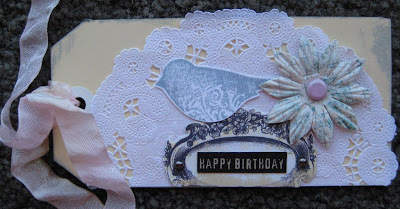 Happy Birthday tag created with a manilla parcel tag. 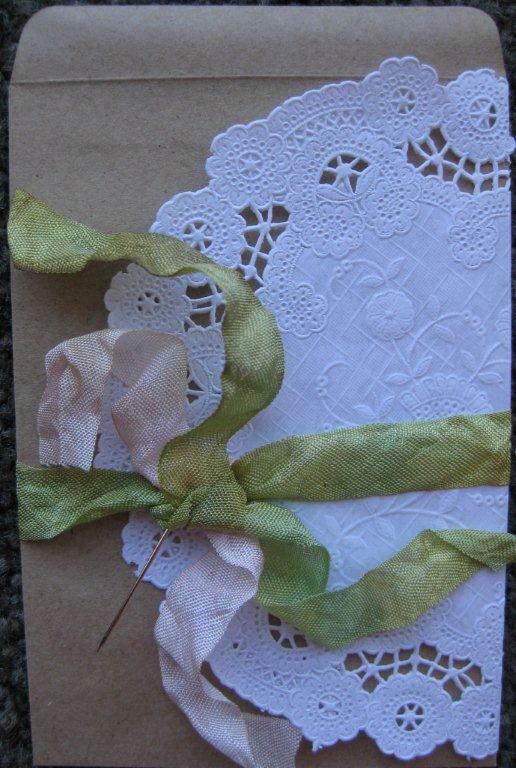 I bought a pack of these little wage envelopes from Warehouse Stationary to make some pretty gift pockets. 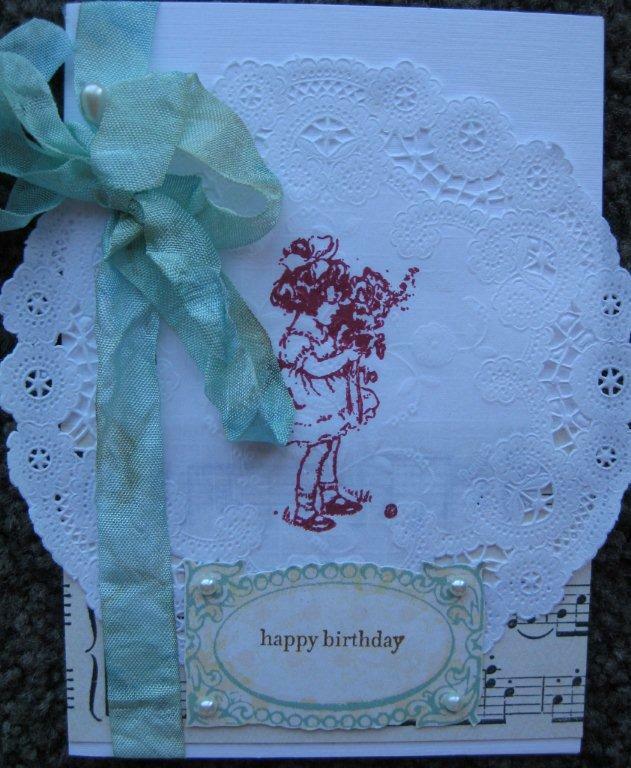 Lastly a card using Prima (girl) and Stampin' Up stamps, trinket pin (MM), wrinkle ribbon (Memrie Mare on Etsy), doily, Kaiser pearls, and Teresa Collins & Webster's PP. Enjoy the weekend. It's a long weekend here- yippee! Lovely! Every time I see your beautiful creations I am sad there is this big hill between us. 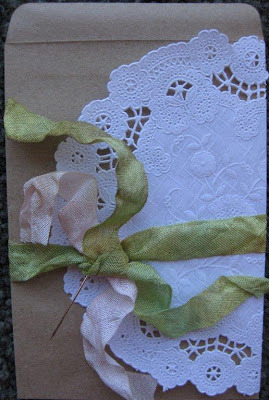 Would love to come over and do some crafting together. Soo much I could learn from you. Maybe we should make a craft date/weekend sometime? I think they just need a bit of glitter or kindy glitz :) Im a glitter girl.